Model 33KBX35, Meriam multiple tube well type manometer, is a versatile instrument used in production testing, process measurement and for laboratory data analysis. 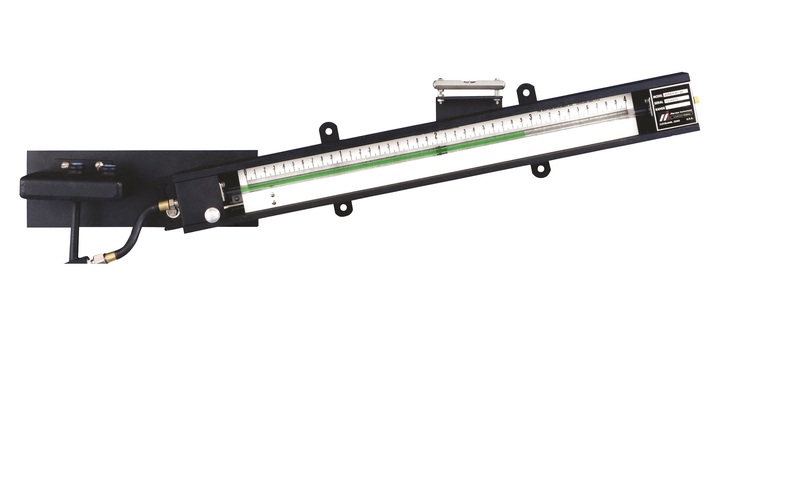 Up to six individual direct reading manometer systems are enclosed in individual compact cases. 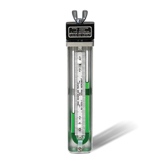 Each tube (system) can be used to measure pressure, vacuum, differential pressure, flow or liquid level. Complex pressure distributions or multiple pressure relationships are easily observed and readily compared. Different manometer fluids of various densities can be used in each tube. The scales can be graduated as required. Flexibility for various application requirements is possible by design modifications. For example, raised wells can be furnished so positive and negative pressures can be indicated without changing the pressure connections. The multiple tube type manometer is widely used for tank liquid level measurement. Many tanks located remotely on a tank farm are connected to the level gauges in the central control instrument panel. Special scales can be graduated duplex to indicate liquid depth in feet and inches, as well as tank capacity in gallons or pounds.